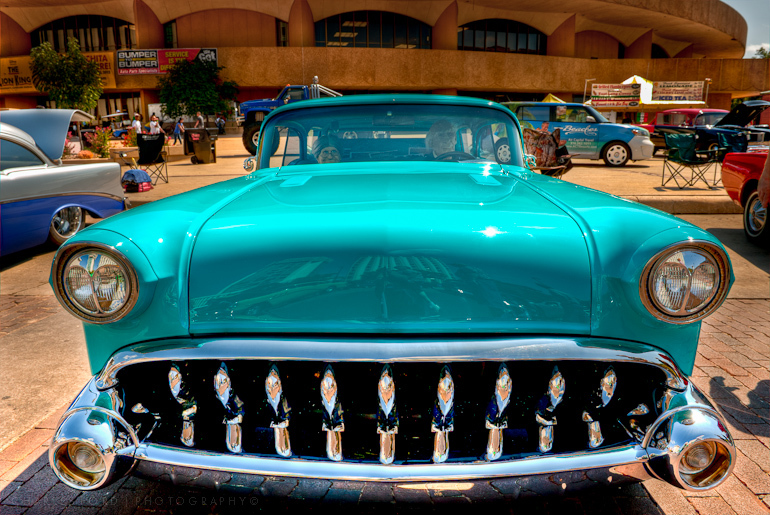 This monster is a 1957 Buick. Not only is the car in top condition, there are two realistic looking mannequins/dummies/dolls in the front seat. I don’t know what the proper terminology is, but it is an old couple, happily driving their Buick. A great deal of work went into this one. The recent car show in Wichita was actually sponsored in large part by the Ford Motor Company. Since my last name is Ford, I thought about trying to pass myself off as somebody from corporate headquarters. I am either too shy, honest, or chicken to have tried that – but oh, how amusing it could have been, at least until they called security. 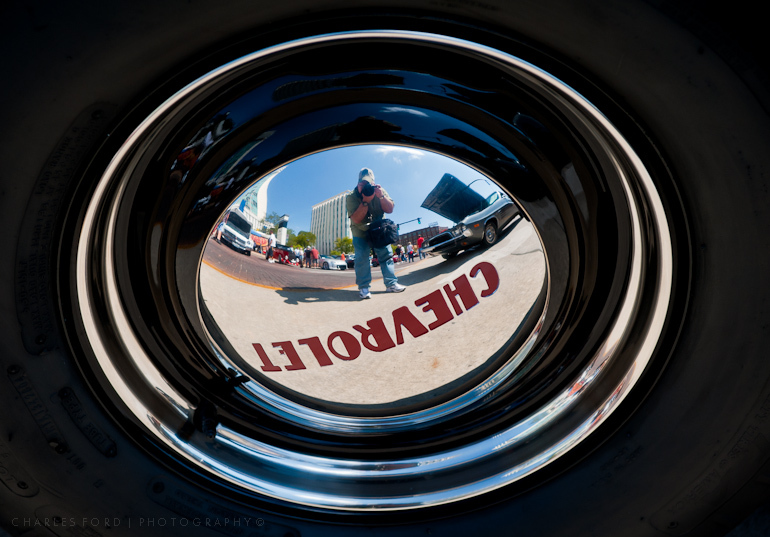 This is a little self portrait, reflected in a shiny Chevy hupcap. A high percentage of the cars on display were Chevy’s. I have no explanation.